The Associated Press is reporting that the U.S. didn't hack back North Korea after the Sony Pictures debacle. Two senior U.S. officials say that the country wasn't responsible for North Korea going dark. The Hackers Won. Now What? 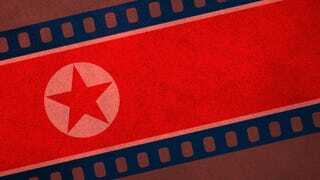 While Obama did threaten a 'proportional' response to North Korean cyberattacks on Sony Pictures, two senior officials have told the news wire that it was nothing to do with the government. Apparently debates within the Obama administration have raged over whether or not the U.S. should speak out publicly about its lack of involvement in North Korea's internet failure. The AP has learned that it wasn't "immediately clear even within the administration whether rogue hackers or other governments disrupted North Korea's networks." Clearly, if the anonymous statements are accurate, the dust must have settled. So Who Shut Down North Korea&apos;s Internet?